You will love this color combination! 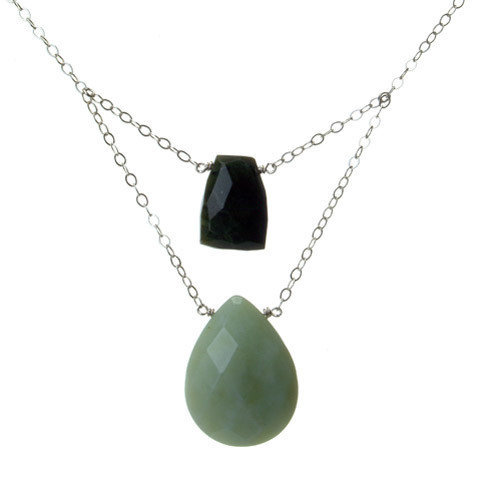 These chunky drops of complimenting green jasper dangle from a sterling chain. This simple design adds a punch of color to any outfit!